Give a breath of hope! Can the chILDren count on you? Imagine going through each day short of breath; feeling as if you just ran up a few flights of stairs and you are trying to catch your breath, by breathing through a straw. That's how chILDren that suffer from chILD feel every day. The diseases that make-up chILD are ultra-rare and very little is known about them. Because they are so rare, many doctors are unaware of chILD and can misdiagnose the diseases in patients. We receive no federal funding and there are no FDA approved treatments for any chILD disorder. Your donation will support research for treatments and cures, and help develop and maintain a reservoir of information on various disorders, treatment options, medical specialists, research studies, and other content to help families cope and provide the most effective support for their chILDren. Please help a chILD Breathe with Hope! Can the chILDren count on your gift? 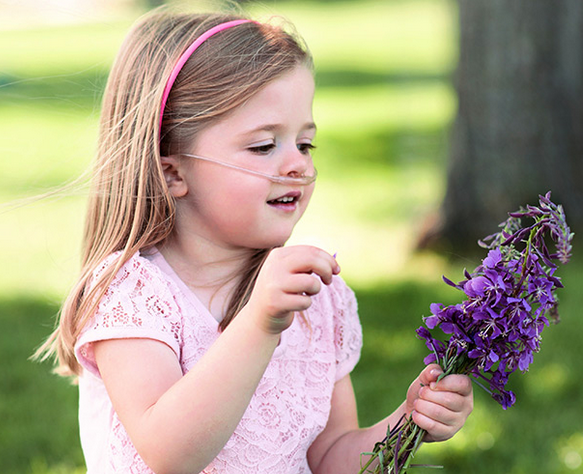 Founded in 2004, the chILD Foundation is a 501(c)(3) non-profit organization whose mission is to accelerate research to find cures for all forms of Children's Interstitial Lung Disease (chILD), and to provide compassionate support, education, and hope to chILDren and families affected by these life altering diseases. We are a company that asks our employees for charities to donate to. One of our supervisors has a son that suffers from chILD . Happy to donate! Cures are mostly found with research. Anything helps! Alida, this is in memory of your grandmother KK, who loved you deeply. I was touched by someone I work with whose son is affected with chILD. Our granddaughter has CHILD and after attending one of your annual conventions we have been an annual donor. By the way, she is doing well. I love my grand children very much. I am donating in hopes that 1 day they find a cure. Donation is in honor of two special little girls. Sisters that deal with one having a difficult lung disease. Wishing them both a Blessed Christmas.